According to this report, and at this very hour, Syrian government forces, under the cover of massive Russian air power, are sweeping the west bank of the Euphrates River to the Iraqi border, and that remains the only area where ISIS terrorist units are currently still operating in that country—while east of the Euphrates River, Iraqi Army and Shiite Popular Mobilisation Forces are removing the last remaining Sunni Islamic terrorists from the desert sands approaching the Syrian border in their final sweep to destroy this radical menace forever—while at the same time, a small valiant band of Iraqi computer experts have done something the United States has never been able to do, destroy the global internet presence of ISIS. With over 600,000 Syrian refugees having returned home as ISIS nears total defeat, this report details, they remain under Russian protection in the 2,278 settlements that have signed reconciliation agreements—with 234 “armed formations” in Syria not affiliated with ISIS having, also, signed cease fire agreements—all of whom both Russia and the United Nations are now working to supply much needed rebuilding aid to. 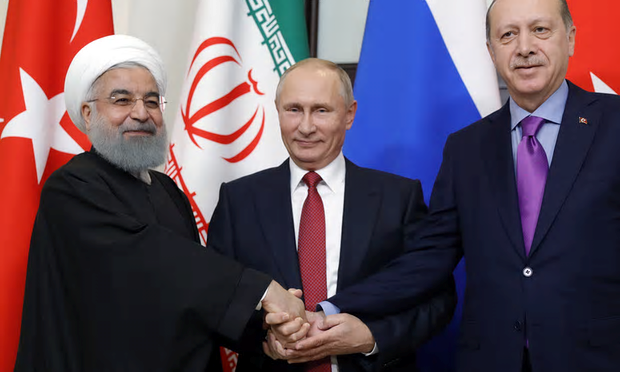 Left to be done in this war torn region in order to accomplish a lasting peace, this report notes, is a political process in which all of the warring parties (except ISIS) will engage in democratic processes in order to insure the viability of the Syrian Republic—and towards whose ends, President Putin, President Hassan Rouhani of Iran and President Recep Tayyip Erdogan of Turkey, met this past week in Sochi (Russia) for an historic summit to finalize the process of—and that Saudi Arabia has now joined by their effort to unify into a single bloc the various Sunni Muslim factions in Syria to engage in this peace process, too. With President Donald Trump having, in essence and fact, ceded control over postwar Syria to President Putin, this report continues, as peace was finally being achieved in the Middle East this past week by the total defeat of ISIS, the American “Deep State” struck back with a vengeance—and that began with the former Obama regimes CIA Director David Petraeus shockingly telling the Royal United Services Institute (RUSI) that the West should be braced to spend “blood and treasure” in a “generational struggle” against ISIS—and that was quickly followed by the “Deep State’s” propaganda arm, called The Washington Post, stunningly declaring that US military forces would illegally stay in Syria in order to prevent peace from occurring. On the other hand, though, this report continues, Minister Lavrov did state that the US was using terror groups in Syria to achieve its own goals—and who was supported in this assessment by President Erdogan of Turkey—who as a NATO ally knowing the full truth of these things, stunningly just revealed that the Americans had been funding ISIS, and had broken all of their promises regarding Syria. Since when are corruption suspects, many of whom are being investigated for financial crimes committed jointly, allowed to stay together in a way that enables them to share notes? Far more importantly, didn’t anyone notice the rifles lying on the floor next to the sleeping suspects? Since when are prisoners allowed access to firearms? If this doesn’t raise a flag in a newsroom, I am not sure what would! To the type of interrogation undergone by Mohammed Hussein Al Amoudi to elicit his confession as to how the “Deep State” funded ISIS, this grimly report notes, was the harshest one could imagine—and that new evidence is emerging showing that these interrogations are being conducted by American mercenaries aligned with President Trump—and whose methods include beatings and torture—with Saudi Arabia’s richest man, Prince Alwaleed bin Talal, even being strung upside down as “an example” of what others could expect if they did not cooperate. 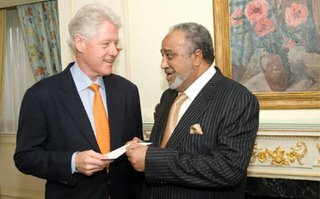 Shortly before Hillary Clinton became US Secretary of State in 2009, Mohammed Hussein Al Amoudi gave former President Bill Clinton, at least, $20 million for the Clinton Foundation. In 2011, the billionaire globalist George Soros (called “Hillary Clinton’s Puppetmaster”) allied himself with the radical Sunni Islamic terrorist organization known as the Muslim Brotherhood. In 2013, George Soros was discovered to be behind the Muslim Brotherhood takeover of Egypt. In 2015, it was revealed that President Obama was secretly backing the Muslim Brotherhood. In 2016, it was revealed that President Obama disregarded the advice of this National Security Council by his backing the 2013 Muslim Brotherhood coup in Egypt. 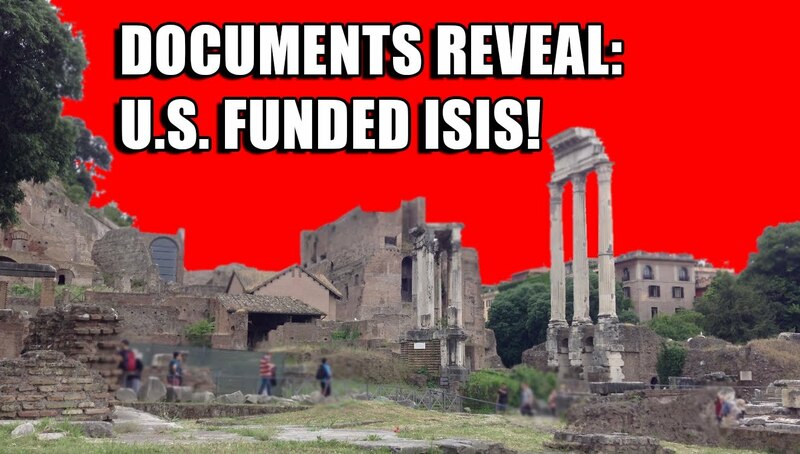 In 2016, it was revealed that both Hillary Clinton and ISIS were being funded by the same “Deep State” aligned elements within Saudi Arabia and Qatar. In 2016, it was revealed that Hillary Clinton’s closest aide, Huma Abedin, was Clinton’s direct tie to the Muslim Brotherhood. 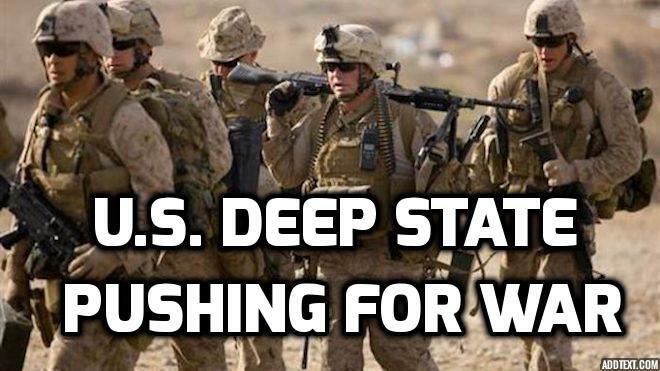 In 2017, it was revealed “Deep State” elements within the CIA are furiously working to keep President Trump from designating the Muslim Brotherhood as a terrorist organization. 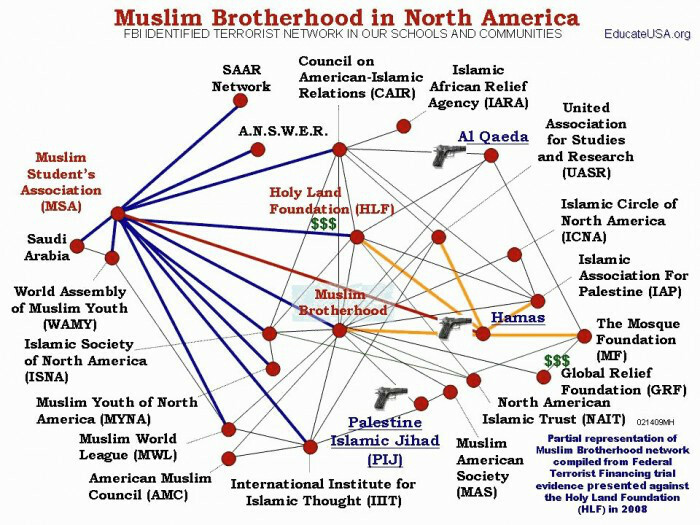 The two listed entities are terrorist organizations working to promote terrorism through the exploitation of Islamic discourse and its use as a cover to facilitate various terrorist activities. The Individuals also have carried out various terrorist operations in which they have received direct Qatari support at various levels, including providing them with passports and assigning them to Qatari institutions with a charitable appearance to facilitate their movement. To the nation in the greatest danger due to the “exploitation of Islamic discourse as a cover to facilitate various terrorist activities”, this report concludes, is the United States—where the now “weaponized and massive” Soros-Clinton-Obama “Deep State” aligned Muslim Brotherhood terror organization is preparing to unleash total war against President Trump before he, and his Saudi allies, can destroy them—but should Trump fail, would then see the “Deep State” turn its bloodied hysterical sights on Russia in revenge—and that has just caused President Putin to order Russian companies to be ready for urgent transition to war-time operations, and who further warned, “all strategic and large enterprises must be ready for this”. 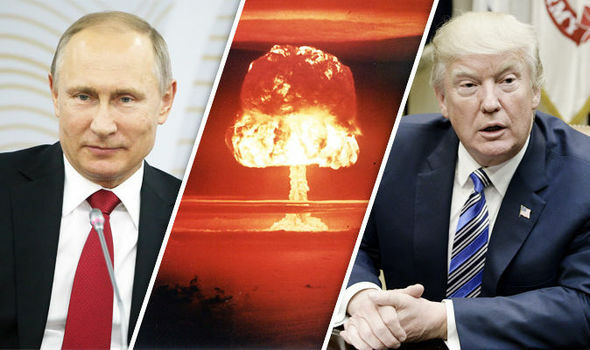 President Putin (left), “Deep State” (middle) and President Trump (right)—who will win? November 23, 2017 © EU and US all rights reserved. Permission to use this report in its entirety is granted under the condition it is linked back to its original source at WhatDoesItMean.Com. Freebase content licensed under CC-BY and GFDL.